ALL REQUESTS, COMPLAINTS, OR CONCERNS MUST BE SUBMITTED IN WRITING. 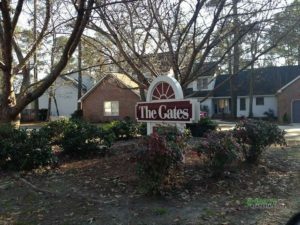 ALL PAYMENTS SHOULD BE MADE OUT TO TREETOPS THE GATES HOA AND SENT TO HOA MANAGEMENT COMPANY 3107-B SOUTH EVANS ST. GREENVILLE, NC 27834. PLEASE REMEMBER TO INCLUDE YOUR ASSOCIATION AND UNIT NUMBER ON THE MEMO LINE OF YOUR CHECK. PAYMENTS RECEIVED AFTER THE 20TH ARE CONSIDERED LATE.